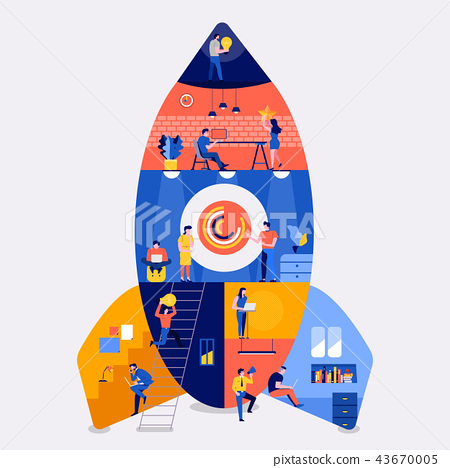 Illustrations flat design concept working space building rocket likestartup company. Create by small business people working inside. Vector illustrate.